Product designers and test engineers throughout the world trust m+p international for reliable noise and vibration analysis, vibration/acoustic control, and continuous on-line monitoring. On display will be m+p’s Smart Office Analyzer with VXI and USB measurement hardware along with the new VibPilot 24 data acquisition and control system. 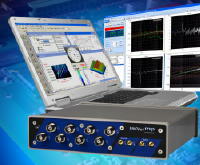 The VibPilot is m+p international's new compact 4/8-channel hardware platform tailored to meet the high requirements of today's vibration testing and dynamic signal analysis. 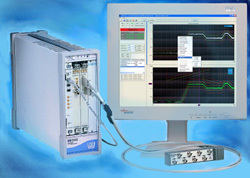 It is based on the latest generation of IC technology resulting in high-precision measurement ability and impressive real-time performance in signal analysis.